Most companies don’ t live as long as most humans. Their relative short life has to do with culture’s rapidly shifting interests, and the difficulty of transmitting values and goals beyond the original founders. When viewed this way, it is a wonder any group of workers would continue to exist after the founding group vanishes. It is simply astounding that some companies could outlive the industry they began in, or even the country they were started in. The oldest living company today is one from Japan. 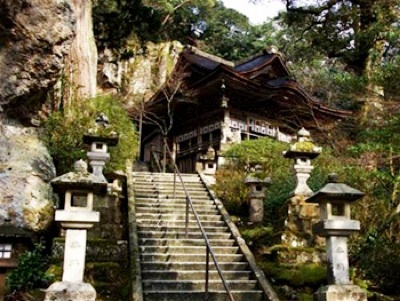 It is a 1,290-year-old hotel located at a hot spring, run by 46 generations of the Hoshi family. Like most of the 100 oldest companies in the world today, it is a family-owned business. It is also probably one you’ve never heard of. If you check out this list of the oldest 100 companies in the world, you might need to scroll to the last half before you’d recognized one of the names. Until last year the oldest living company was a Japanese construction company which was founded in 578 . Then in 2007, after 40 generations and 1,430 years it went kaput. Not that there was any pressure on the descendants. But there must be a good story there. Why now? What gave out? Number 8 on the list is Ambert d’Auvergne a paper company founded in France in 1326. By the time Picasso bought paper from them, they were already 600 years old and venerable. Google, by the way is 10 years old. Microsoft, that ancient dinosaur of a company, is 23. Can you imagine either of these companies in 600 years? Some computer scientists believe that certain bits of essential software code today, such as TCP/IP, or even the unix kernel, will still be operating 600 years from now. Like the primeval Krebs or TCA energy cycle in cells, these routines form the foundation for more complex systems, but still run unchanged after billions of years of evolution. It is not inconceivable that Page Rank code might be running in search 600 years, operating beneath massive other bits, and it is no more inconceivable that a company called Google might still oversee it. By then search would be an boring commodity like beer, hotel rooms, or paper. No one would recognize the name. The above list of ultra-longevity is far from definitive. For instance it lists some family farms and plantations in the US, when clearly there are many family farms worldwide that are still successfully operating today after centuries. They aren’t mentioned. The list also includes almost no companies from China or India, which probably have more century-old family companies each than the rest of the world put together. Despite the aura and glam surrounding start-ups, most of the businesses today — in the US and the world — are still family owned. They work in humdrum occupations such as food, lodging, fabrication — exactly the kind of businesses that the oldest 100 are in. It is not hard to imagine some hi-tech industries today (web design?) becoming the domain of family businesses in the future. About 85% of the oldest-lived companies listed have websites. I bet the ones that will fail in the next 5 years will be in the 15% that don’t have a website in 2008.